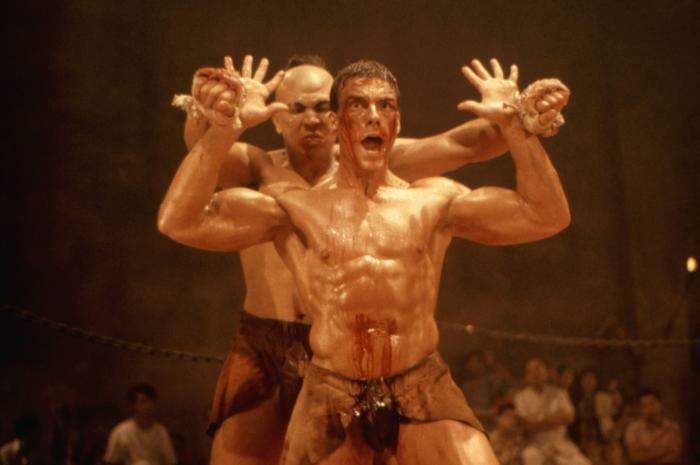 After Bloodsport was a runaway success for the new action hero, he had a slight misstep with his follow-up film Cyborg, but found success again with Kickboxer, a film that allowed JCVD to create the tournament fighting films he was pioneering at the time. So was this a good film alongside Bloodsport? The answer is…somewhat. In some respects it is better, and worse in others, but in no way is it more or less entertaining overall. Enter Eric Sloane (Alexio) , the best kickboxer in the United States, who is followed by his French-raised brother Kurt (JCVD) who goes to Thailand to face the fighters there, after being told that their style of Muay Thai was formidable in the kickboxing ring. Eric, being as full of himself as he is, foolishly looks for the biggest and best fighter he can find–and succeeds, facing the brutal Tong Po (Qissi), who works for the local Thai mob. Tong Po brutalizes Eric and breaks his back, paralyzing him for life. Now fueled by the fires of true revenge, Kurt wants to face Tong Po, but isn’t good enough, causing him to seek out a master crazy enough to train him, and finds one in Xian (Chan), as well as romance with Mylee, Xian’s neice. Kurt goes to train, but will his training be enough to defeat Tong Po, and in the process get revenge for both his brother and Mylee? Kickboxer is ludicrous in many ways, but a whole lot of fun. The story keeps things lively and entertaining, even if you can see the end coming a country mile away. JCVD does a decent acting job, far improving from what he did previously, but continues to carry that onscreen presence. Michel Qissi is intimidating as Tong Po but isn’t nearly as intimidating as Bolo, for instance (in fact Qissi and JCVD were childhood friends. Both of them got noticed as background dancers in the film…Breakin’) While JCVD does the hero stuff, Dennis Chan brings the humor and wisdom as Master Xian, and once again JCVD is one of the only action heroes of the time who actually has to learn martial arts, instead of being a badass out of the gate, which is pretty much every action hero today. The training scenes were really the best scenes in the film to me, as I enjoyed all the torture Xian puts Kurt through, but also in seeing Kurt learning and getting better as the film goes on. Now, by today’s standards the Muay Thai fights are a bit simple (by today’s standards I mean Tony Jaa), and yes, pretty cheesy, but the fights are pretty good for what they are, particularly the fight inside the bar, and the final fight with Tong Po. JCVD knows what he does well, and choreographs the fights to accentuate what he can do, which is that beautiful spinning helicopter kick. The final fight with Tong Po does feature the requisite JCVD slow motion kicks, and his kiai (yell) which lasts forever. The fights really don’t compare to any of the fights in Bloodsport, but it’s decent for what it is. 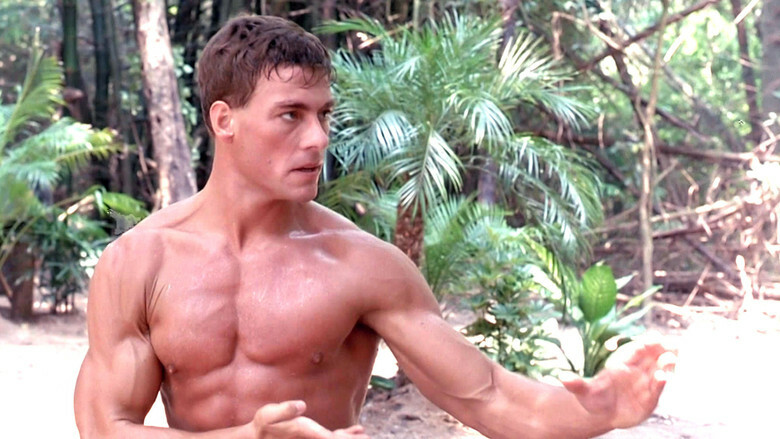 Kickboxer is an American martial arts film classic that shows JCVD at his early best! CHOREOGRAPHY: (7) JCVD does a good job, knowing what he can and can’t do well. While the fights aren’t very fast by Asian film standards, it does have a certain charm and is cinematic to watch, which is more than many Hollywood 80’s martial arts films could claim. But whomever choreographed that dance scene needed to be shot. STUNTWORK: (5) The stuntmen didn’t have to do too much crazy stuff, but did it well, the standout scene being the bar fight. STAR POWER: (9) JCVD was starting a run of success that would define him as one of the best Hollywood martial arts action heroes of all time. FINAL GRADE: (8) One of JCVD’s most fun films. Not his best, but is full of fun individual scenes that carry the entire film. NEXT: Sonny Chiba kills a bull as Masutatsu Oyama in Karate Bull Fighter (aka Champion of Death)! All I have to say is that JVCD is his youth was just too beautiful to behold. What a body and what a man. For us he was hypnotic to watch. His beauty and his style was captivating. Simply sizzling!!!!!!!!! BTW PJ, I messaged with Darren Shahlavi today. I told him about you and your office mates. He told me to tell you that if you say “hi” he’ll return the greeting!